Mobile storage system for medical supplies. 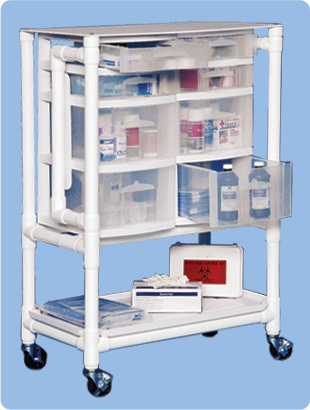 A low cost, versatile medical supply cart to transport nursing supplies to all areas of the facility. Includes 8 storage drawers in two different sizes along with a top shelf writing surface and large bottom shelf.